Demand for radical sustainability is coming and business model innovation might be the only way for companies to make it, not fake it. Sometimes you see something that sets off a chain reaction of events in your mind, bringing the future into sharp relief. One Friday last month, such a thing happened when I took some time out in the middle of my day to pay a visit to what will likely be described in years to come as a historic flashpoint in the shift to a civilisation in harmony with the planet – school students walking out of class to strike for the climate. What I am going to do is retrace my steps and take you on a journey of consequences to show why school children bunking off school on Fridays demonstrates an urgency to apply business model innovation to the challenge of the Circular Economy. On a disturbingly warm Friday for February, I was in Parliament Square outside the seat of UK power, among a fervent sea of school students carrying handmade signs and their politics on their sleeves. For weeks I had been following the emergence of a youth movement sparked by a single individual – the brilliant Greta Thunberg. 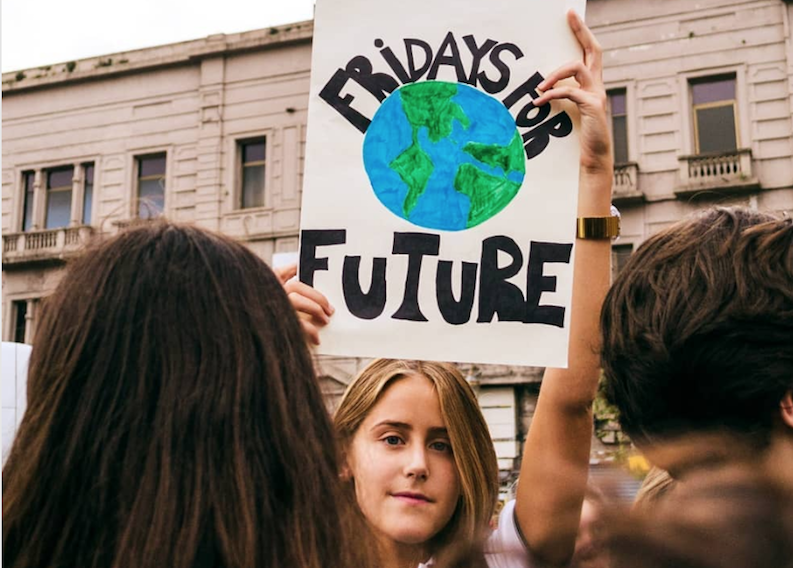 This has rapidly grown from an estimated 100,000+ students striking on that Friday across Europe to highlight inaction around the climate crisis, to an estimated 1.4 million in 2000+ locations across 125 countries on the Friday this month. It shows no signs of slowing, with new locations popping up daily on the Fridays For Future events map. 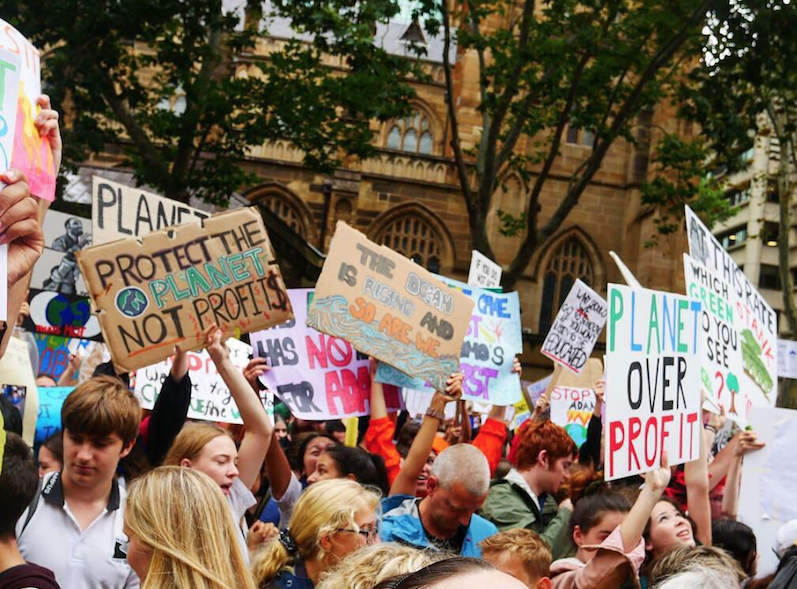 The youth’s signs demonstrate the sophistication and ambition of thinking, yet also a palpable anxiety in reaction to the IPCC report that we have less than 12 years left to radically change. It is well known that the formative years of our lives have a huge impact on our psychology and worldview in adult life. This applies on an individual level and on a collective level – a principle outlined in the Theory of Generation Cohorts first coined by Karl Mannheim in his 1928 essay, Das Problem der Generationen. I believe that the defining aspect of this generation is going to be their lack of complacency in finding individual and collective solutions to the climate crisis. This will inevitably manifest itself in consumption patterns that scrutinise the environmental impact of products and services at a scale like no other generation before. This is a generation that won’t take no for an answer. "My generation and the generations that went before have failed you. We failed to grasp the basic premise of intergenerational justice: that you cannot apply discount rates to human life. In other words, the life of someone who has not been born will be of no less value than the life of someone who already exists. We have lived as if your lives had no importance, as if any resource we encountered was ours and ours alone to use as we wished, regardless of the impact on future generations. In doing so, we created a cannibal economy: we ate your future to satisfy our greed." "You have issued a challenge to which we must rise, and we will stand in solidarity with you. Though we are old and you are young, we will be led by you. We owe you that, at least." We won’t even have to wait a decade for this generation to graduate and enter the workforce to feel the effect of their worldview and life choices. Change is coming now. This sudden and fervent action make concepts like the Circular Economy not only an inevitability, but a fast approaching one. The Circular Economy, a reconceptualisation of the economy from a traditional linear system (take, make, use, dispose) into a closed-loop system (reuse, repair, recycle), has been brewing away in the shadows of the mainstream by the brilliant minds at the Ellen McArthur Foundation. Whilst the thinking and theory is highly developed, the application to the real world has been lacking. 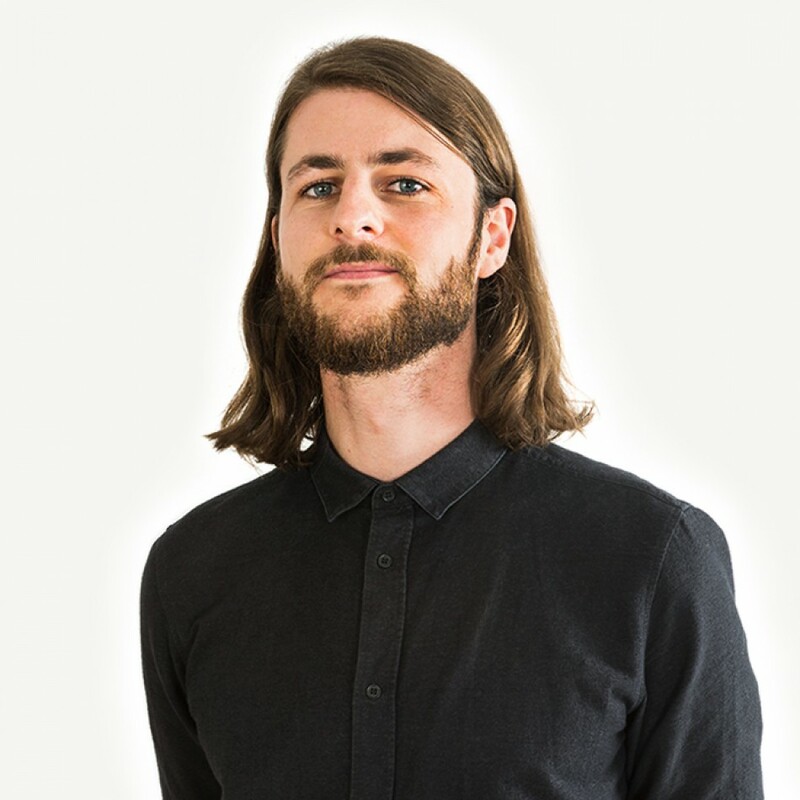 With the shifting attitudes and behaviours that these strikes will bring, closed-loop product lifecycles are no longer going to be a nice-to-have or value-add, but a demand and simply table stakes in the right to play for future consumers’ trust. However, moving towards the Circular Economy is no mean feat. The latest entry into the circular arena from Evian shows how, for some companies, this is going to be their odyssey. A recent FastCo article proclaims how “Evian wants to become a fully circular company by 2025, and luxury water bottles–designed by Abloh, its new “creative director for sustainable design”–may be one way to get there.” Forgive me for being cynical, but I can’t see the impact “luxury water bottles” is going to have on the millions of single-use plastic bottles sold each year. Just mention of the word ‘luxury’ makes this exclusionary from the millions of ordinary people who likely form Evian’s customer base. To me, it reeks of what I call ‘innovarketing’ – using the guise of product innovation as a marketing strategy without any real intent to build that into their business model. The reason that engaging with the circular economy is so challenging for many established companies is that it is not a simple case of swapping one thing for another without changing the rest. Take Adidas for example who were also mentioned in the article for announcing that they would cut out all virgin plastic from its supply chain. That is a step in the right direction, but what about at the end of the Adidas product lifecycle – how do we stop all that recycled plastic from being removed from the closed loop so it can be reused again? How hard would it be to actually get a consumer to recycle their shoe? Changing to the Circular Economy is hard because it is not singly a product innovation, customer experience design, or brand perception challenge. It is fundamentally a business model innovation challenge. It is hard because it requires changing the system in the same way that Climate Change reform requires systemic change. In the words of a school student I saw striking on Friday: “Systems Change, Not Climate Change.” We should heed their words and rise to the challenge, taking a deep breath and examining the fundamental assumptions that underpin our business models to adapt to a world in symbiosis with people and planet.